1 A pedestrian walks through a snow storm, in south Philadelphia, Pennsylvania, USA. 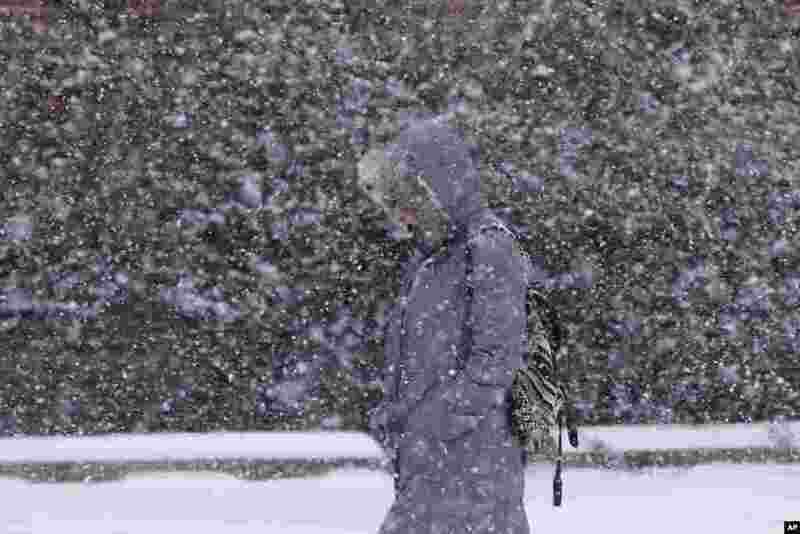 The National Weather Service said the storm could bring 8 to 12 inches of snow to Philadelphia and New York City, and more than a foot in Boston. 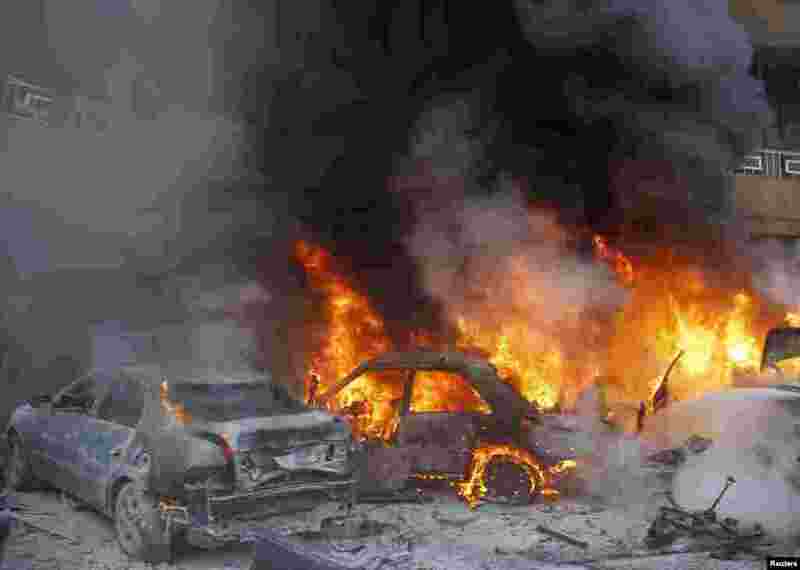 2 Cars burn following an explosion in the Haret Hreik area in the southern suburbs of the Lebanese capital Beirut. A suicide bomber killed four people in a residential neighborhood of southern Beirut known for its support of Shi'ite military and political group Hezbollah, security sources said. 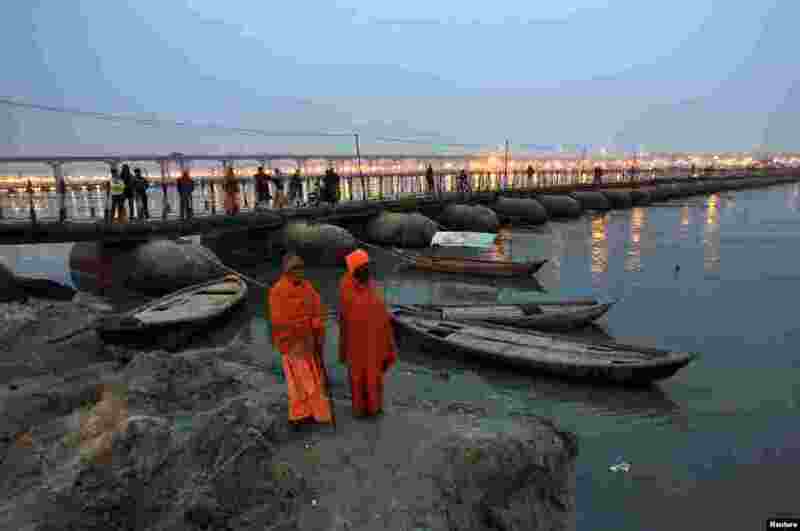 3 Sadhus or Hindu holy men stand on the banks of river Ganges next to a pontoon bridge in the northern Indian city of Allahabad. 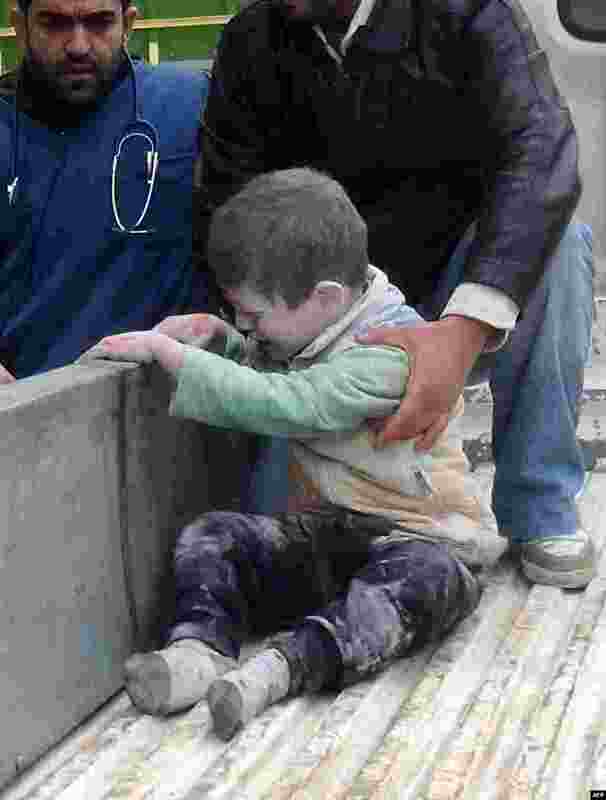 4 Syrians help an injured child following an alleged airstrike by government forces near a school in the northern city of Aleppo.